This paper presents the evolution of compressive strength and the modulus of elasticity of concretes with binary and ternary blends of ordinary Portland cement, fly ash and ground granulated blast-furnace slag (GGBS or slag). The study involved 54 concrete mixes with water–binder ratio (w/b) varying from 0.50 to 0.65 and the total binder content varying from 280 to 340 kg/m3. The influence of w/b, type of binder and exposure period (or age) have been assessed. It is seen that the incorporation of slag contributes to both short- and long-term strength, whereas fly ash requires comparatively longer time to contribute to the compressive strength. The relationship between compressive strength and age and between the modulus of elasticity and compressive strength has been discussed. 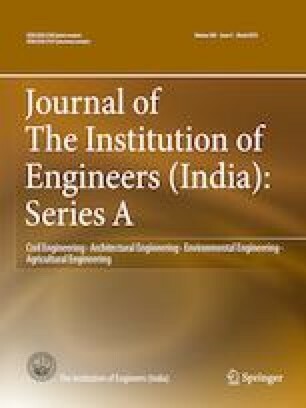 The authors acknowledge the support of Ambuja Cements, BASF, Alcon, JSW Cements, Penna Cements and W R Grace for supplying some of the materials used in the work.